This morning, the Bank of Canada (BoC) announced it would cut the overnight lending rate by 25 basis points to 0.50%. 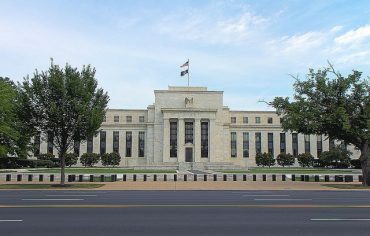 This follows intense speculation in the media that a rate cut was necessary to stimulate the economy, which has suffered from weak oil prices and may technically be in a recession. Last month, BoC governor Stephen Poloz likened January’s rate cut to “Life-saving surgery,” claiming the benefits of an interest rate cut outweighed the potential side effects – namely increases to household debt levels. More recently it’s been argued over whether Canada is in a recession, but that debate has largely come down to semantics. The word recession never appears in this morning’s release – and is only used twice in the accompanying Monetary Policy Report, both times referring to the great recession of 2008-09. Instead the BoC said the, “GDP is now projected to have contracted modestly,” and described the current course of the economy a “significant and complex adjustment.” While the Bank expects the economy to recover by 2017, apparently more such surgery was necessary today. What does this mean for you? If you have a variable rate mortgage your rate could be about to fall, but it’s not clear by how much. Mortgage rates have historically followed the BoC rate closely, but after the overnight rate was cut by 0.25% in January the major banks only dropped their prime rates by about 0.15%. 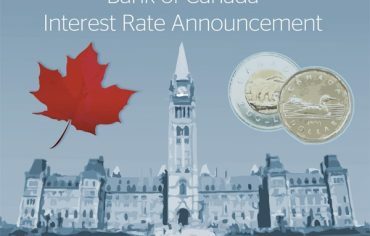 An analyst at CIBC World Markets says bank rates may only drop by 0.10% in response to today’s announcement – a signal that prime rates have gone about as low as they can. If you’re planning to buy a home, today’s news is a mixed blessing. On one hand mortgage rates are likely to fall, improving your mortgage affordability. On the other hand, house prices in Toronto and Vancouver could climb even higher, erasing any benefit you may have seen from lower rates. The next Bank of Canada rate announcement is scheduled for September 9th, 2015.